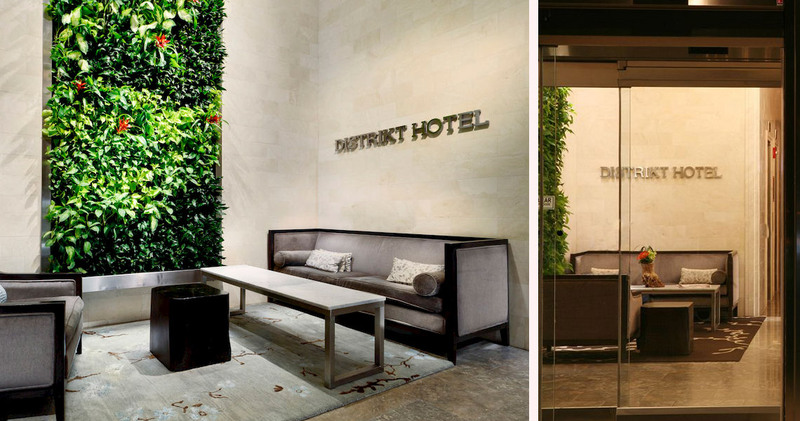 Discover the many intriguing facets of the city while staying at the luxury Distrikt Hotel New York. 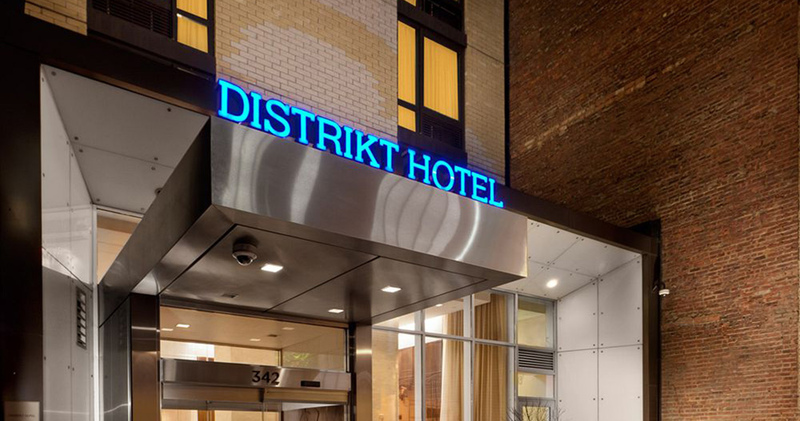 Paying homage to the various districts and neighborhoods that embody the charm and character of New York City, the Distrikt Hotel New York offers guests the opportunity to “embrace their inner New Yorker”. 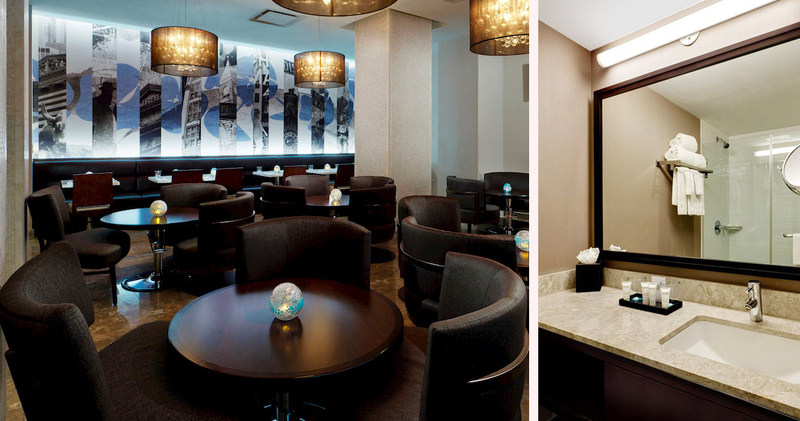 With a stylized approach to luxury hospitality, guests will encounter unique and often multicultural details that epitomize the artistic and cultural diversity of the city. 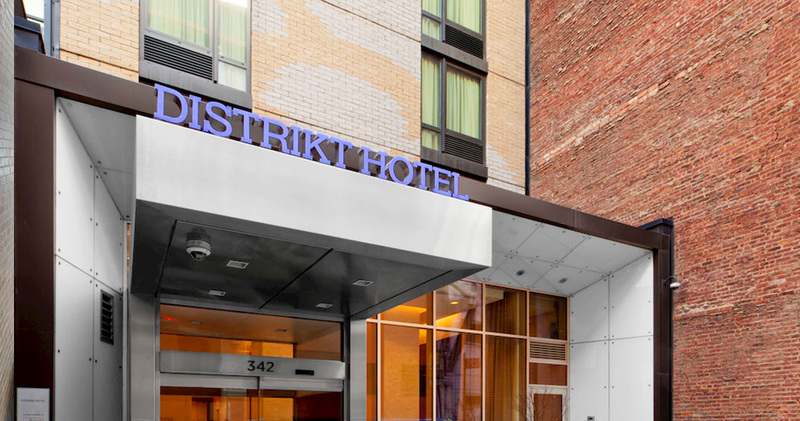 Situated mere steps from Times Square, in the renowned Garment District, the Distrikt Hotel New York presents the finest amenities with extraordinary flair, with highlights ranging from Keurig Coffee Systems to iHome alarm and sound stations. 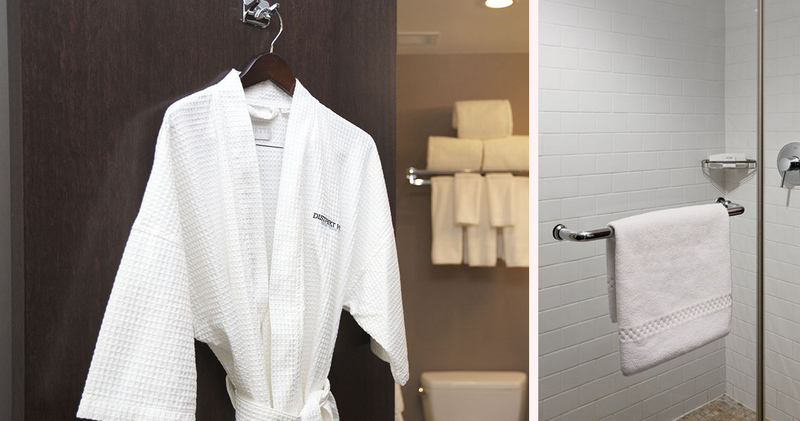 With a comprehensive array of guest room choices (including Standard, Superior, Deluxe and Grandview rooms), visitors are treated to luxury amenities and state of the art technological comforts, such as a complimentary digital New York Times and personal laptop safe. 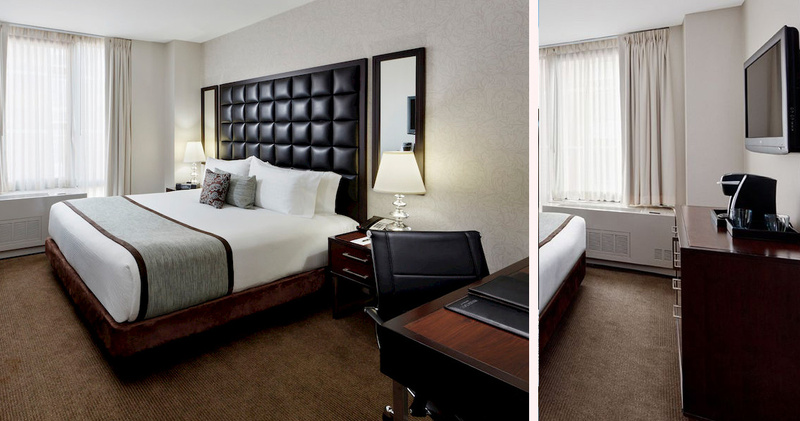 Each of the spacious and elegant guest areas are styled in contemporary yet comfortable themes, enhanced by breathtaking views of New York City through gracious picture windows. 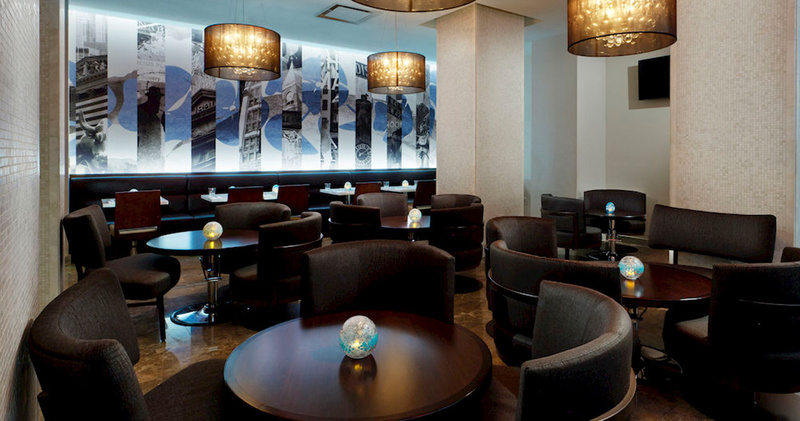 Specialized amenities provided by the Hotel Distrikt New York include Le Belge Chocolates with turn down service and courtesy evening hors d’oeuvres. 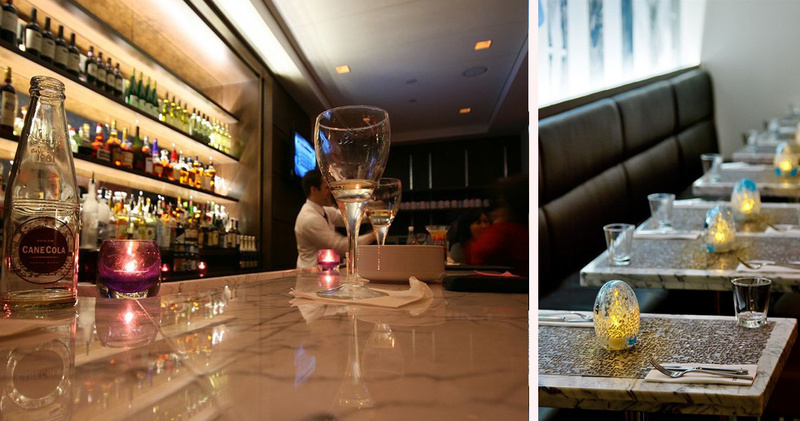 To truly embrace the lifestyle of a New Yorker, guests must dine like one. At the Distrikt Hotel New York’s Collage Bistro & Bar, guests are treated to breakfast offerings that are quintessentially NYC (such as the NYC Bagel and cream cheese), while still light on both the body and the wallet. Late afternoons find the Collage Bar proffering an aperitivo social hour, where the snacks are complimentary and the cocktails are delicious. A must try here is the Hell’s Kitchen Hurricane. 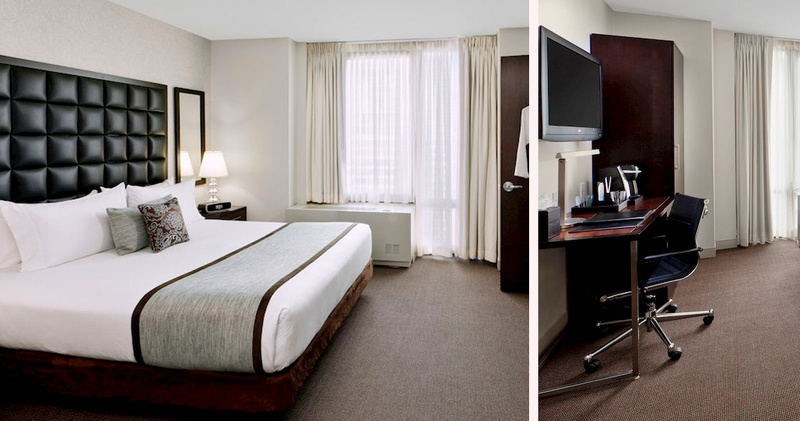 In-room dining is also available day or night through the convenient services of Seamless.